The upcoming World Freestyle Kayak Championships on Garburator Wave in Canada has fueled our desire to make the ultimate wave surfing machine. 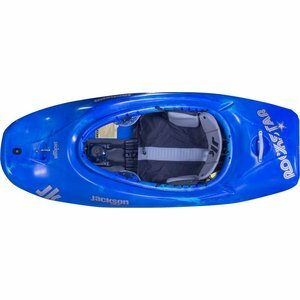 We have completed this mission and are now rolling out our best freestyle kayak to date by far, the new Rock Star! A narrower, faster, looser, easier to take off hull is the platform that everything is built on. Easy Edge to edge transfers that are reminiscent of the 2010 All-Star/Super Star, combined with massive air capabilities and smooth, predictable surfing makes it a ridiculously fun boat to paddle on a wave. We took extra time in the development of this deck as well to make sure that we had a rock solid knee position, and increased performance for moves in holes and flatwater. The ends of this boat are slicey and easy to get under the water, making cartwheels, stalls, and linking moves together easier than ever before. Play boating in general will be a joy if you are just learning your first tricks, or you want to win the next World Championships, or just show off to friends. I have not been this excited about a playboat in a long time. It is our best package by far and will be hard to improve on!